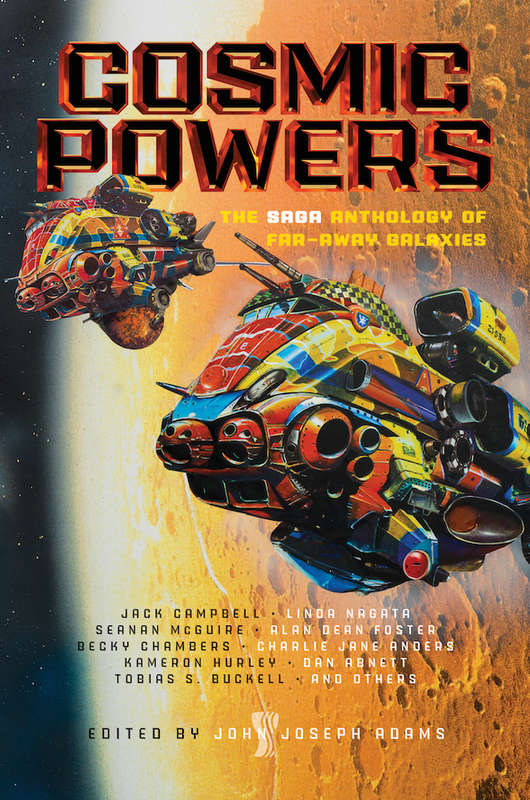 "Golden Ring," by Karl Schroeder [bio] (edited by John Joseph Adams), appeared in Cosmic Powers (RSR review), published on April 18, 2017 by Saga Press. Pro: The setting is interesting, and the conflict with the Maximizers is interesting. The notion of lock-step worlds as a way around the speed-of-light problem is intriguing. The names of the characters are clever. For example, Eos is “dawn” in Greek. Con: It’s hard to see why anyone would bother to make the lasers sentient. It’s hard to see why everyone overreacted so much to the “News” when it had no effect on anyone’s daily life. Eos is essentially a god, and that makes her an unsatisfactory protagonist. There's no tension, for example. I really liked this one - that's a big Cosmic idea in there. The locksteppers reminded me of the concents from Anathem. The actual story was a bit stilted though - I think this idea was too big for the story, and needed much more development. I'm seeing that a lot lately. The short story has a powerful idea and seemed to take place in a sophisticated universe, but we get such a small taste of it that the result is unsatisfying. This can lead to the paradox of rating a story "mediocre" and yet being eager to read more by the same author . . .
His series starting with Sun of Suns is interesting and also has Big Ideas, although now I think about it I'm not sure I ever finished it. I first read his short story "Hero" in Dozois's annual anthology, and after that I pretty much binge-read the whole rest of the series. "Hero" was a five-star story on it's own, though.